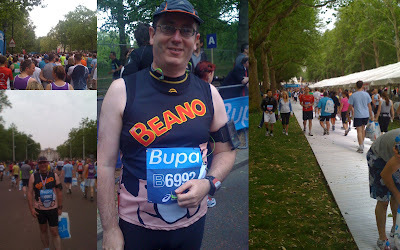 Much less wet than last year, this was a really wonderful run – even if I did only manage a time of 56 minutes. The route took us past the Palace of Westminster, along the embankment, into the City, through Leadenhall Market, past St Paul’s Cathedral and then back to Horseguards, Trafalgar Square and the Mall. No other run in the world can pass so many iconic sights in such a short time. And the medal wasn’t bad either.